The future is here! Ford is racing a Mustang built with a 3D printer! Okay, it’s not a full-sized car but it is a race car! The miniature was created specifically for an international slot car race in Detroit (check out all the details in the video below). It’s not the first time Ford’s incorporated a 3D printer into its manufacturing. 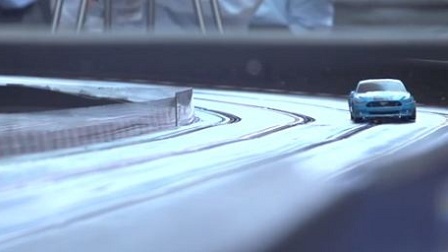 In fact, the Blue Oval says it frequently prints prototype parts when designing new vehicles. For more information click here.